The Japanese ritual of "san-san-kudo", the three by three exchange is rich with meaning. It is performed by the bride and groom and both sets of parents; each person takes 3 sips of sake from each of 3 cups. The first 3 represent three couples, the bride and groom, and their parents. The second 3 represent three human flaws: hatred, passion, and ignorance. 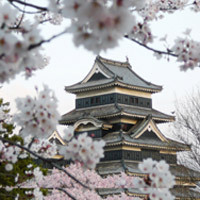 "Ku", or 9 is a lucky number in Japanese culture. And "do" means deliverance from the three flaws. Another highlight of this ceremony is a rosary with 21 beads that represent the couple, their families and the Buddha all joined on one string to symbolize the union of the families. Part of the ceremony involves honoring the parents with offers of flowers, a toast, or a letter expressing their love and gratitude. The crane is a symbol of longevity and prosperity and so 1, 001 gold origami cranes are folded to bring luck, good fortune, longevity, fidelity, and peace to the marriage. The bride traditionally wears two outfits: the shiro, which is a white kimono worn for the ceremony and the uchikake kimono which is a patterned brocade worn at the reception. The hair is worn in a bun with colorful kanzashi accessories and a white wedding hook called the tsuno kakushi is worn to hide the two front golden tsuno horns to symbolize obedience. The bride also carries a tiny purse (hakoseko), a small encased sword (kaiken), and a fan that is worn in the obi belt that represents happiness and a happy future. Plenty of courses are served, but never in a multiple of four because the number four sounds like the word for death. Additionally, the different foods served all have special meanings, for example lobster might be served because red is a lucky color or clams served with both shells symbolize the couple’s union. - What is the traditional food of Japanese? 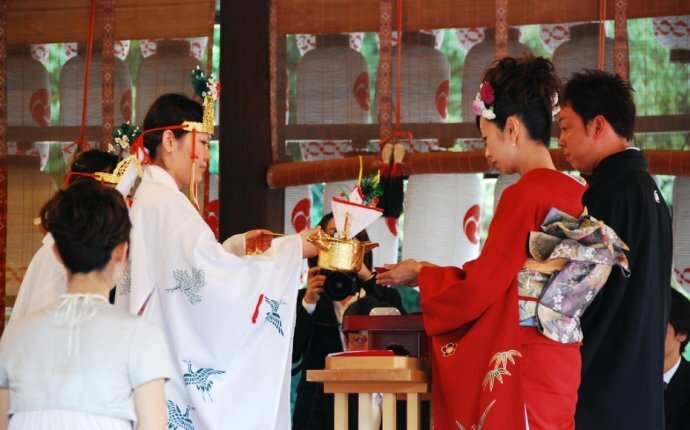 - What is the wedding traditions in Japanese?